As a long time supporter of talkBIM and ThinkBIM, I was pleased to receive confirmation on Friday that Pacific Computing are combining their Tekla expertise and solutions with Trimble’s BuildingPoint ANZ. Paul McLeod joins as the Structures Division Manager for BuildingPoint, completing the Design, Build and Operate (DBO) lifecycle that BuildingPoint provides. While other vendors may claim to support the ubiquitous BIMcycle, given the depth of the products that Trimble now own and support, you would be be hard pressed to find a more complete DBO portfolio. “As a contact of Pacific Computing, we wanted you to be among the first to know that we are now part of BuildingPoint Australia and New Zealand (BuildingPoint). This means that as at 17 September 2014, BuildingPoint became the exclusive Tekla distributor in Australia and New Zealand and the company Pacific Computing ceased to operate. BuildingPoint, the global distribution channel for Trimble Buildings’ design, build and operate solutions, is the beginning of something really exciting and we’re looking forward to introducing you to a much broader range of solutions. You can find more details on the Pacific Computing website and the BuildingPoint website, or please feel free to contact me. We’ll be in touch again soon as BuildingPoint. This entry was posted in BIM Content, BIM in Construction, BIM Standards on September 21, 2014 by rumbelom. Acquisitions are the name of the BIM game for 2014. Why invent when you can buy? This is certainly the case with the “latest” purchase of the Autodesk cheque book, being the Siteworks add-in from EaglePoint. Given that the site tools in Revit have remain untouched since Revit 9.1 (with the exception of the Project Base Point and Survey Point tags), it does seems a little “stop gap” for my liking. Still .. its better then having to buy it! Autodesk® Site Designer Extension for Revit® software helps architects, designers, and planners convey building site planning concepts to engineers. 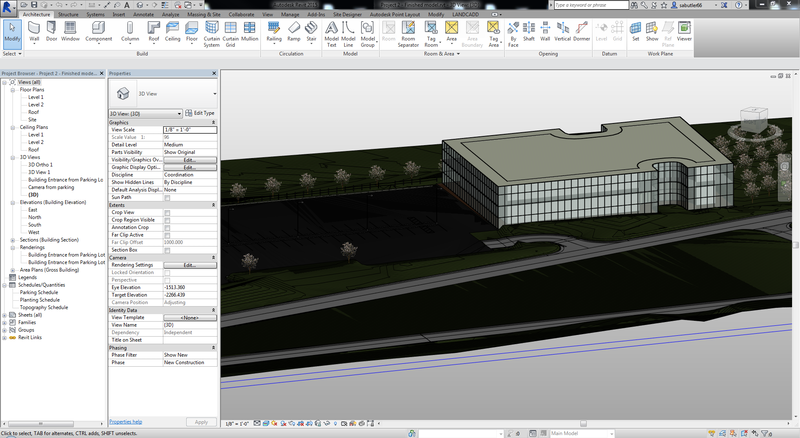 Site Designer runs inside Revit software and uses native families, components, and toposurfaces, so site designs become part of the overall model. You can model alternatives for mass grading, building pads, streets, sidewalks, parking lots, and retaining walls all within the Revit environment. More easily convert a sketched line into a street, sidewalk, curb and gutter, retaining wall or parking lot in the model. You can manipulate Site Designer components using editing tools to change their location, elevation, grade or geometry, and Site Designer automatically updates and maintains the underlying toposurface. This entry was posted in Uncategorized on September 18, 2014 by rumbelom. Frankly, this is huge BIMnews! Perhaps. Trimble signs deal with Frank Gehry. “This merger is a dream for me. In Trimble, we find a partner who has like-minded ambitions and goals to create efficiencies in the AEC industry that allow the creativity of the architectural profession to flourish and deliver value-added creative solutions within the realities of our economic times. I am very excited to expand our mission with a great new partner,” said Frank Gehry. In the complete history of BIM, will this quote above will be studied, dissected, deconstructed and translated in doctorates and research papers across the globe? Is this the moment when the BIMpower was seismically shifted to a new axis of influence when a new technological force declared its hand on a world stage? Perhaps. Or is this merger simply an outcome of the “realities of our economic times” and Trimble being the only firm willing to buy up that which Autodesk, Bentley and Dassault have already “danced with”. Gehry Technologies will be reported in Trimble’s Engineering and Construction Segment. Financial terms were not disclosed. 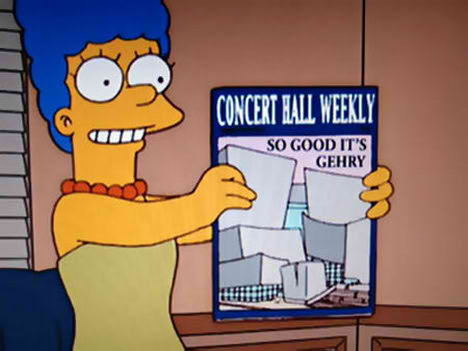 For more information, visit: http://www.gehrytechnologies.com. 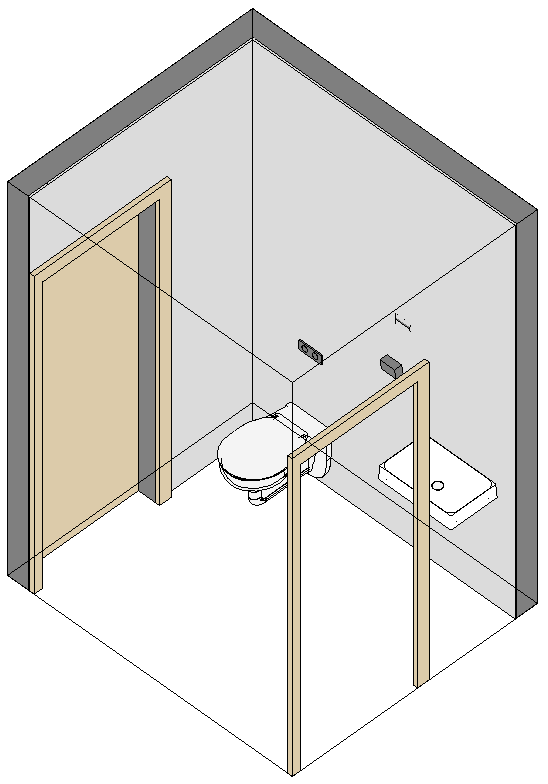 This entry was posted in BIM in Construction, BIM Software on September 9, 2014 by rumbelom. DotProductNews. Real-time, handheld 3D capture solutions, for under $5k. This newsletter landed in my inbox and has some great new examples of the DotProduct DPI-7 in action. 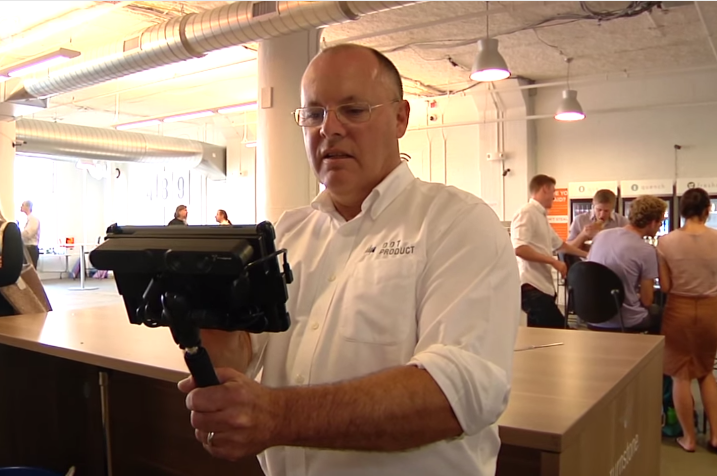 DotProduct provides real-time, handheld 3D capture solutions, for under $5k. DotProduct VP Tom Greaves was able to catch up with Nick Barber from IDG News Service last month and give a full demo of the DPI-7. The discussion highlighted the technology and applications in a variety of markets. For the full video, please click here. Since the launch of the DPI-7, we have received a lot of requests for extension capability, and are happy to deliver on that request today. With the DPI-7 Extension Pole, users can now access tall ceilings, HVAC, and other hard-to-reach areas, all while maintaining control of the tablet in the hands of the user. The pole extends up to 15 feet (5 meters). The Extension Pole is available to both new and existing customers. For ordering info please contact orders@dotproduct3d.com. Last month, DotProduct was enlisted by PowerHydrant to scan the Tesla Model S. Within minutes, DotProduct CEO Brian Ahern was able to produce a full 360-degree model, adding to the PowerHydrant point cloud library and furthering the development of their robotic solution for charging electric vehicles. The reward was a post-scan test drive on the highway! View the full DotProduct Newsletter here. This entry was posted in Uncategorized on September 6, 2014 by rumbelom. Don’t just take our word for it. See who else is supporting next weeks BIMBattle. talkBIM is very pleased to announce the HUGE lineup of sponsors and industry experts who are supporting next weeks inaugural BIMBattle at Deakin, Geelong. Are you getting involved too? RSVP your place here! Don’t forget industry and guests are welcome to attend the opening event and the announcements of the competition winners and share in some #BIMbeers! Deakin School of Architecture and Built Environment will host the first BIMBattle 24 hour competition September 12th & 13th. Don’t miss out on your chance to be involved in Deakin’s very first BIMbattle. 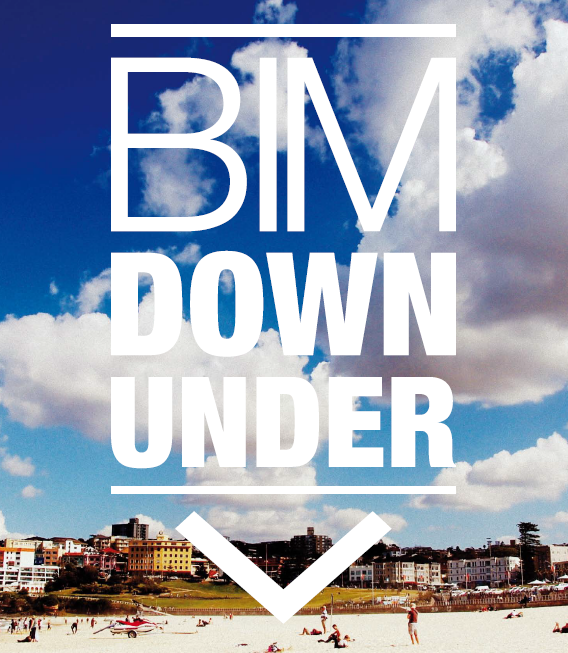 This competition will get you innovating, designing and learning through BIM tools over 24 hours. TOP SECRET. But here is LITTLE a hint whilst learning BIM with your PIERS. Free Registration – prizes to be won! RSVP your place here! Monday 8th September 2014 RSVP your place here! 5.00pm – 6.00pm Registration and pre-meeting drinks. Finger food and sponsor products. 6.00pm – 6.15pm Welcome and competition brief. Full brief posted to website at 6pm. 7.45pm – 8.45pm Networking, BIMbeers and Pizza in Studio & finalise teams. 9.00pm – 10.00pm BIM Intensive: Revit for beginners with DesignInc. 1.00pm – 2.00pm Presentation Intensive: Revit rendering and entourage techniques with DesignInc. 5.00pm UPLOAD & DOWN TOOLS! Celebration! More sponsor products. 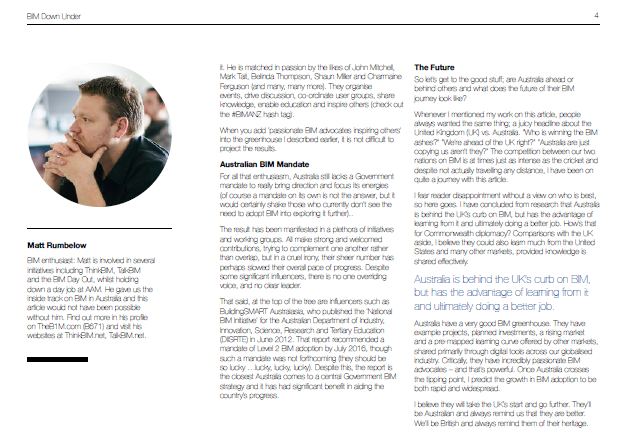 All competition entries will be online at Student Education Community and Autodesk 360. This entry was posted in BIM Collaboration, Industry Event on September 5, 2014 by rumbelom. How long would it take you to create all the views for 1000 rooms? With ARUtils the answer is “under an hour”! This is the promise that appeared in my inbox this evening from ARUtils. A bold claim, but given ARUtils track record, one that wouldn’t be made lightly. So, if Room Data Sheets, Schedules, Plans, Views and Elevations are close to your heart (Healthcare design pun intended), I would recommend checking out the latest from ARUtils below. It wasn’t that long ago that I announced the Room Data Sheet and Room Views command. At that time the command allowed you to create all your room plans and elevations with a single button press. Let’s face it, BIM for many is about 3D. Conveying what a room contains and looks like is so much easier in 3D. ARUtils already has commands that make it easy to go to a 3D of a room or selected items however now it can generate all your room 3D views to help explain your design. By default the 3D view is looking North East. A section box is automatically applied to exactly match the wall faces. This ensures we can see into the room. Of course it would be better if we could see the back walls. And of course you can! The scope box set to miss the front walls of the room but show the back walls. An option allows you to create two 3d Views. The second view looks South West. Listing what items are in a room is tackled in many ways by Revit users and non-Revit users. As I explained last time, exporting the information for each room out to tables in Word documents is one way that ARUtils supports. The static nature of this export is not always an acceptable solution. A seemingly simple approach is to create a single Revit Schedule that groups information by rooms. It does get more complex when you want to put this on a sheet, or more likely multiple sheets. The other downside is that the FFE schedule is not closely related ( i.e. on the same sheet) to the room plan, elevations, and 3D. Creating a schedule for each room then becomes a possible solution. Doing this manually can become a time consuming task. ARUtils now lets you create a single “Schedule Template” for a room and then create all the schedules for all the rest of your rooms. All the filtering is altered to do all your rooms. ARUtils – Room Data and views, part of ARUtils Leader, available for just $600. How much time do you need to save to get back $800? We now have our room data sheets views; plans, elevations, 3D, schedules. See how we can create the sheets for each room! If you have previously trialled ARUtils and want to try it again, please contact me for an updated license. This entry was posted in BIM in Health Facility, BIM Software on September 2, 2014 by rumbelom.